Story Time With the Library Lady: Theme of the Week: "Mouse Apples"
The problem with "Little Mouse's BIG Secret" is that the pictures are SMALL! I get the reason why it was done that way but still think the proportions could have been better. Even sitting close up, it's hard to see the tiny little animals As a result, this story might be a good pick for a flannel/magnet board--a good option when a good story is too small for a large group to enjoy together. But it worked all right. Little Mouse finds an apple, doesn't want to share it and "hides" it by burying it in the ground. The apple promptly sprouts into a tree which grows into a tree loaded with apples. 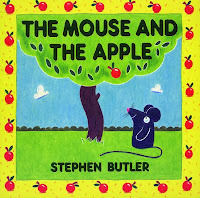 By the time Little Mouse realizes what has happened, there are enough apples for all to share. I took the book around the story time circle so that all the kids could see the picture where the tree sprouts out of the ground. This is also the sort of book where some fill-in dialogue may be needed by the reader since the basic text is pretty much animals asking "What are you hiding?" 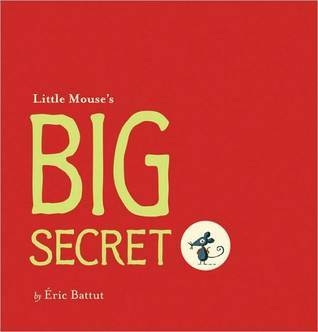 and Mouse replying "It's my secret and I'll never tell". I think Melissa of Mel's Desk spotted me on Twitter and I'm delighted that she did because I am finally starting to find librarians who like what they do as much as I do--work with really young children. There aren't any other librarians around me who really do, and it's lovely to be able to share and learn again. This book is out of print and our library doesn't have a copy, but when I spotted this on her last "Flannel Friday" I knew I wanted to try telling it. 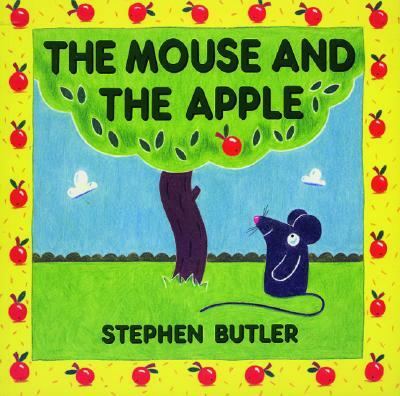 I ended up finding a YouTube clip of a lady reading this, so I had the full text, then promptly took it and did what I wanted with it :D But the basic tale is of a little mouse who patiently waits under a tree for an apple to drop. Other animals come and wait too, but when the apple doesn't fall no matter what they do, they lose patience and finally leave. Mouse keeps waiting, and when the apple DOES finally fall has a sweet reward. 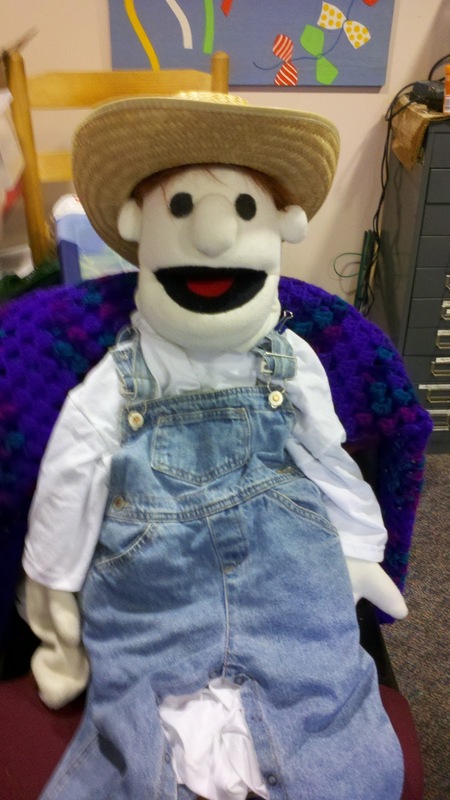 I told the story with puppets and used other animals I had on hand including my beloved sheep puppet "Lambert", who as usual misbehaved and wanted the kids to give him carrots instead. It was fun, and I am looking forward to trying it out with my older kids next week and mangling the story even more to suit them and me! I work alone these days but in past years I was lucky to work with some incredibly creative people. Jason started working for us as a page (shelver), but we soon discovered he had awesome artistic talents. He worked for me until he graduated college and made me stuff I'm still using to this day, including some puppets that Jim Henson's people would have heartily approved of. 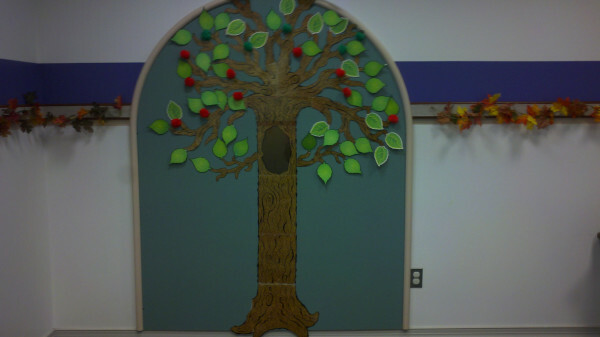 There is a big wall display area in my story room. When I first moved in here, we put a tree display there, and ever since the tree has changed with the seasons. I took 5 red fake apples (craft stores have them now) and hooked them loosely to the tree. "Farmer Brown" 's right hand works with mine in it, so he took the apples off one by one and pretended to eat them. Then I hid the apples behind him--his overalls made kind of pocket scrunched up against me, and we continued the countdown. The kids counted along on their fingers and I managed not to drop a single apple! I was working on a little film of a story I tell called "The Caterpillar Buys Shoes"--at some point I'll get it done and up here and on YouTube--and was looking for a caterpillar song to use with the credits. In searching Amazon, I came upon "Caterpillar,Caterpillar" by Kira Willey, a musician and children's yoga instructor. You may know her work--she did a song called "Colors" that was used in a Dell commercial and you can see a video for the song HERE. I didn't realize until later that I had seen reviews for the album "Caterpillar" is on and had bought it for the library!. I always do a lot of movement related stuff with the kids, so turning "Making Apple Pie" into an activity for my groups worked beautifully. We crouched down small like seeds, "grew" tall into a tree, reached up high to pick apples, then sat down to knead our dough, roll our dough, bake our pie, blow on our pie, and ate it with our choice of ice cream. I used Kira's song, which is beautiful and was easy for me to sing, but adjusted the lyrics here and there and added a few bits of my own. 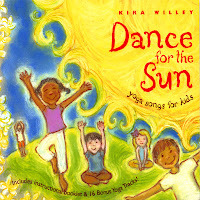 The kids LOVED this, and I am now planning how I am going to use her "Big Brown Bear" song. Next week, it's back into the trees, but this time with the squirrels and the owls! Having that online network to learn from and share with makes a big difference, doesn't it? Thanks for sharing your storytimes & your expertise with us.